Having a big rescue isn’t necessarily unexpected – it’s going to happen at some point. For Carolina Tiger Rescue, it happened last year. On Sept. 30, 2016, the organization got the call about a facility in Colorado that was shutting down. As a result, 100 wild animals needed homes. Additionally, the Colorado facility also asked for assistance with daily animal care until they were cleared out. By Oct. 4 that year, Carolina Tiger had a crew on the ground out west. 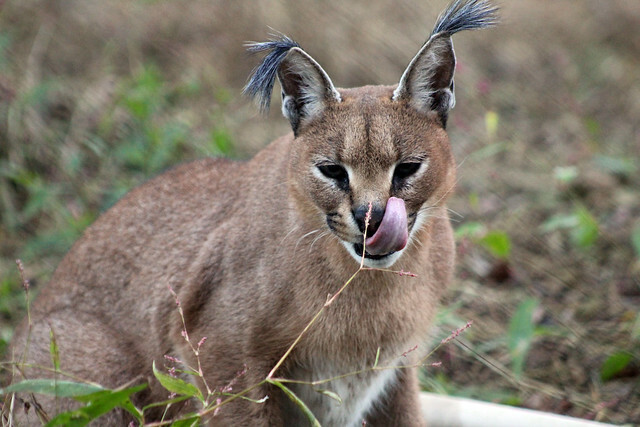 Carolina Tiger, along with 14 other sanctuaries across the country, stepped in. The organization wound up with its largest rescue to date after taking 16 of the animals. Coordinated by Turpentine Creek Wildlife Refuge in Arkansas, the 15 participating sanctuaries took 30 trips between them to rescue the animals. Carolina Tiger took five trips and got the second-largest number of new residents; Turpentine Creek had the most with 34 in six trips. 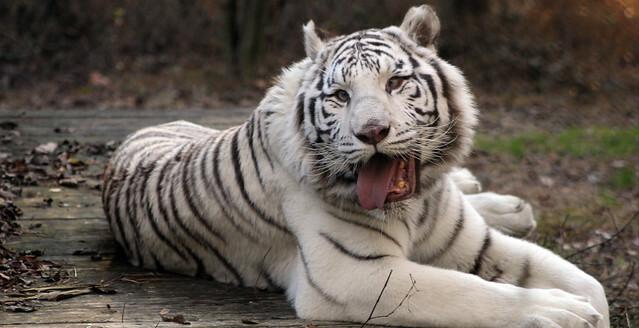 Half of Carolina Tiger’s new animals were tigers, and the rescue lasted from early October to mid-December. 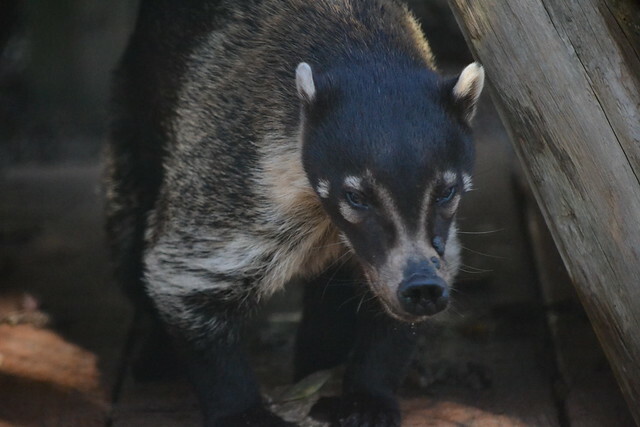 Kitwanna and Zari Caracals, Savannah Serval and Lily and Macano Coatimundis were the first to arrive, introducing a new species to the rescue; Carolina Tiger had coatis for the first time. Saber and Shenandoah Tigers came next, followed by a group that included Mila and Riley Tigers. 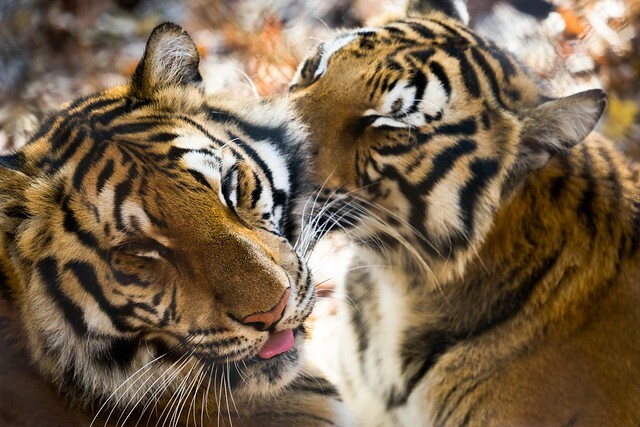 The sanctuary’s popular Three Tigers – Caprichio, India and Carolina – came next. Toby and Talon Bobcats’ transport was slightly delayed. 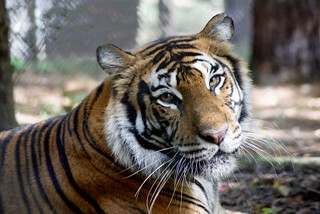 Since the species is native to North Carolina, the cats required permits from the North Carolina Wildlife Resource Commission before they could enter the state in Carolina Tiger’s care. They were the only wild animals from the rescue that needed permits. 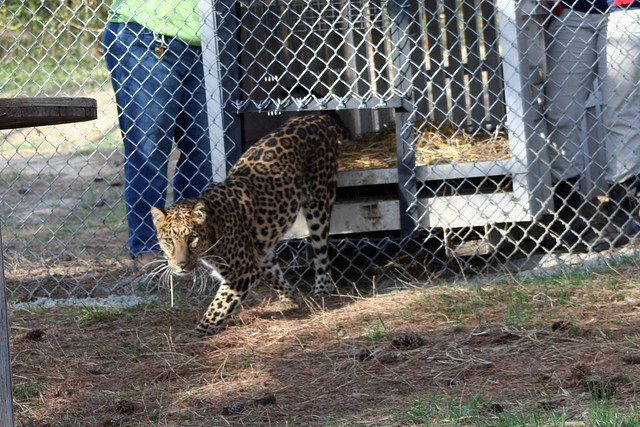 Anthony Leopard was the final cat to arrive. It’s been a year since the historic rescue. The staff and community have gotten to know the new animals, who have settled into their homes and made their marks on the hearts of many. You never know when a rescue call will ring. When the time comes, it could be one animal or it could be 20. Carolina Tiger worked closely with Turpentine Creek and acted within days during the Colorado Rescue. All new Carolina Tiger rescues start their life here in the quarantine building. There, they receive a physical exam by Carolina Tiger veterinarian Dr. Angela Lassiter. Some of the Colorado animals needed additional procedures; Saber Tiger, a white tiger who was housed with a female, had to be neutered, and Mila and Riley Tigers had partial eyelids that required surgical repair. The animal care team was strategic in scheduling arrivals, because there was limited room in quarantine. When one group of animals vacated the building, the staff had to disinfect the area before the next set arrived. Lassister said to medically prepare for the large rescue, she had to make sure there were enough drugs and equipment in stock before the animals arrived. It also took strenuous effort to coordinate the moving pieces of the rescue. One by one, after their 30-day period in quarantine, the animals made their way out to their forever homes. Mila and Riley Tigers, Lily and Macano Coatimundis, Toby Bobcat and Savannah Serval live off the tour path. Everyone else has a place on tour. The Three Tigers punctuate the center of Oak Hill, and they are typically the first tigers to greet tour guests. Caprichio loves to boss the girls around. Talon is an inquisitive bobcat, who watches tours from afar unless there’s food near! Kitwana and Zari Caracals are social cats. Saber and Shenandoah are very playful with one other and are typically the last tigers guests see on tour. Anthony Leopard is energetic, and will run and destroy enrichment the moment you look away. 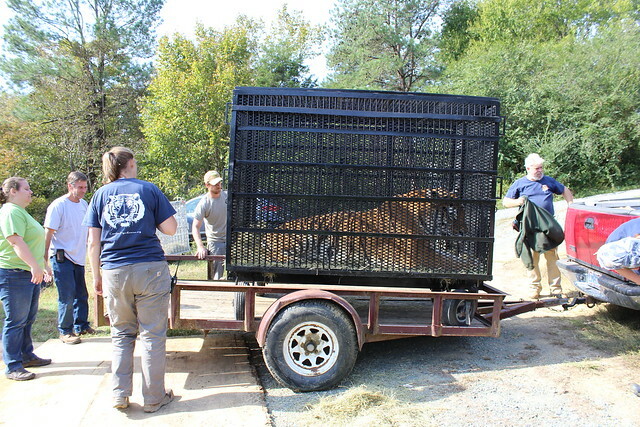 The significance of the Colorado Rescue was two-fold for Carolina Tiger. “It was a great example of what numerous sanctuaries across the United States can accomplish in essentially what was a very short period of time,” Bertok said. “Then, there’s the joy of having new animals in our care. Each one of them is their own distinct animal. They have their own personality. It’s like having a whole new group of friends arrive at your doorstep.